Businesses and developers must remain vigilant in tracking proposed local regulation of stormwater. Municipalities throughout Pennsylvania are in the process of implementing local stormwater ordinances and fees that will likely impact land development. Recent changes to federal and state laws have forced municipalities to seek new funding sources, regulate businesses that have large areas of solid pavement and roofing (“impervious” areas), and limit stormwater impacts from land development. Businesses and developers should watch for changes to local laws that will regulate stormwater, limit traditional land development, create quasi-governmental stormwater agencies and impose stormwater fees. Stakeholders should take advantage of opportunities to limit adverse impacts from these initiatives on their operations. Although this article focuses specifically on Pennsylvania, similar changes may be happening in other municipalities that are grappling with stormwater issues. Businesses and land development within the borders of a regulated municipal separate storm sewer system (a system that has separate pipes to convey stormwater, known as an “MS4”) may be affected the most by local stormwater regulation, whether or not operations involve discharges into storm sewer pipes. In Pennsylvania, municipalities regulated as MS4s have independent legal obligations related to stormwater management. These are implemented through MS4 permits with the Pennsylvania Department of Environmental Protection. An MS4’s compliance depends on land uses and practices of businesses within its borders. One potential component of an MS4’s compliance is regulation of businesses and land development through ordinances. For example, the DEP requires minimum standards for stormwater controls in local ordinances and, to that end, has issued a model stormwater ordinance that MS4s are expected to implement, in some form, by September 30, 2022. The permitting requirements are even more severe if the MS4 is within the Chesapeake Bay watershed or within an identified “impaired” watershed. A list of the hundreds of regulated MS4s by county and their regulatory status is available on the DEP’s website. Businesses and developers within these municipalities should be attentive to changes at the local level and take advantage of their opportunities to shape local laws. Below are some key points to consider. Municipalities may now create stormwater authorities, which are separate local entities that have defined responsibilities such as stormwater planning, management and implementation. By law, stormwater authorities may generally impose “reasonable and uniform” rates. A key point of contention at the local level will undoubtedly be whether rates imposed are “reasonable and uniform” based on the characteristics of the properties subject to the fees. Fee structures vary widely. The simplest is flat per-parcel fee. Another simple approach is the equivalent hydraulic area (EHA) approach, which features separate per-square footage rates for impervious area surfaces (parking lots and other paved surfaces) and pervious area surfaces (lawns, gardens, green rooftops). Additionally, many municipalities may impose separate fees for nonresidential and residential parcels, with residential properties typically charged a flat-fee while nonresidential properties pay more targeted fees designed to reflect each parcel’s total impervious area, such as a per-EHA rate. Typically, nonresidential properties are subject to a broader range of fees based on a higher variance in impervious surface areas among commercial and industrial parcels. For example, a used car lot would likely pay more in stormwater fees than a hotel because used car lots cover a large swath of impervious pavement, while hotels generally have a relatively smaller footprint of impervious area. No matter how the fees are structured, the revenue from the fees may be used by MS4s to implement best management practices (BMPs) that control and reduce the discharge of stormwater. BMPs can range from something as simple as more frequent street cleaning to something as burdensome as construction of retention basins and infiltration techniques. Fee structures can (and should) include credit programs that reduce or eliminate fees for property owners that manage stormwater, such as by implementing their own BMPs. A properly structured credit program will allow property owners to reduce the billed stormwater fees commensurate with reductions in stormwater runoff from the property due to the implementation of BMPs. Businesses should ensure that credit programs are considered and look for opportunities to implement BMPs that can result in credits and long-term cost savings. Legal representation may be helpful to assist with proactive review of proposed stormwater programs in order to encourage development of fair and flexible stormwater fee structures. Businesses within the Chesapeake Bay watershed may be most affected by local regulation as MS4s in this region attempt to meet more stringent permit requirements. The Chesapeake Bay is considered “impaired” for sediment, nitrogen and phosphorous. Therefore, federal and state regulation have focused on these three pollutants and, in urban or developed areas, particularly sediment. DEP permitting now requires MS4s in the Chesapeake Bay watershed to reduce sediment loadings to surface waters over the next several years and demonstrate those reductions. In turn, this means businesses and land development within the Chesapeake Bay watershed will be in the crosshairs for more local regulation through BMPs and fees. Under DEP’s program, the amount (or volume) of stormwater is equivalent to “sediment” because higher volume results in stream scouring and stream bank erosion. Businesses and developers may be forced to implement BMPs to reduce volumes discharged from properties where stormwater management was approved years or even decades ago. Beyond the Chesapeake Bay watershed, businesses and development within other, smaller watersheds throughout Pennsylvania that are considered “impaired” may be subject to additional local scrutiny. MS4s are subject to additional permitting requirements similar to those for the Chesapeake Bay if they are located within certain smaller watersheds that are “impaired” for specific pollutants, including not only sediment, nitrogen and phosphorous, but also pathogens, metals or acidity from abandoned mine drainage, and certain priority pollutants like polychlorinated biphenyls (PCBs) and pesticides. When municipalities propose ordinances, fees, BMPs and other measures to regulate stormwater, stakeholders should take advantage of opportunities to be in the conversation. Early participation in the development of fee structures in particular can ensure that assessments are fair, reasonable and uniform and include credit programs for implementing desired controls, preventing the need for litigation later (which has been common for stormwater fees throughout the country). This includes having the company, legal counsel or other representatives attend public meetings, file written comments and organize businesses in similar situations to oppose any inequitable treatment. In addition, MS4 municipalities may look to private landowners and businesses to help them implement BMPs on private property. This can involve questions related to funding, design and construction, and long-term operation and maintenance agreements to ensure the ongoing effectiveness of BMPs. It may also involve restrictions on property such as through deed covenants or use restrictions. The opportunity to work collaboratively with a municipality on such projects can be beneficial for stakeholders and help frame the outcome, resulting in a win-win if done properly. These opportunities may also expand beyond the borders of a municipality and involve cooperation with regional and county-wide initiatives. 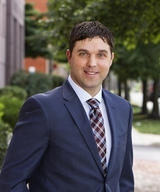 Scott Gould is chair of McNees’s Environmental Law and Toxic Tort Group and also practices in the Pipeline and Oil/Gas Infrastructure and Food & Beverage groups where he provides environmental counsel to clients in those industry-based groups. Scott counsels business and industrial clients in all aspects of environmental law compliance. The scope of his practice includes compliance counseling, permitting and compliance auditing under all regulatory programs, including water, waste, air, wetlands and encroachments, storage tanks, surface mining, and oil and gas exploration, production and transportation. He can be reached at sgould@mcneeslaw.com. Steve Matzura, an associate at McNees, has advised businesses and energy-sector clients on a broad range of environmental issues, including matters involving water, wastewater and waste. 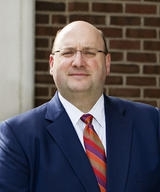 He also litigates environmental matters before state courts and administrative hearing boards, including the Pennsylvania Environmental Hearing Board. He can be reached at smatzura@mcneeslaw.com. 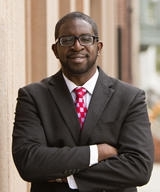 Ade Bakare, an associate at McNees, practices in the firm’s Energy & Environmental Group. His practice focuses on issues involving electric, natural gas, communication and water utility services. Ade represents large industrial and commercial consumers of these services before state and federal administrative agencies. Ade also counsels several municipalities on energy matters. He can be reached at abakare@mcneeslaw.com.